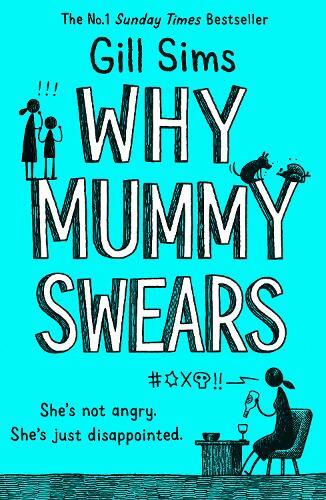 The hilarious second novel from author of the smash hit Why Mummy Drinks. Monday, 25 July: The first day of the holidays. I suppose it could've been worse. I brightly announced that perhaps it might be a lovely idea to go to a stately home and learn about some history. As soon as we got there I remembered why I don't use the flipping National Trust membership - because National Trust properties are full of very precious and breakable items, and very precious and breakable items don't really mix with children, especially not small boys. Where I had envisaged childish faces glowing with wonder as they took in the treasures of our nation's illustrious past, we instead had me shouting `Don't touch, DON'T TOUCH, FFS DON'T TOUCH!" while stoutly shod pensioners tutted disapprovingly and drafted angry letters to the Daily Mail in their heads. Mummy's marriage is feeling the strain, her kids are running wild and the house is steadily developing a forest of mould. Only Judgy, the Proud and Noble Terrier, remains loyal as always. Mummy has also found herself a new challenge, working for a hot new tech start-up. But not only is she worrying if, at forty-two, she could actually get up off a bean bag with dignity, she's also somehow (accidentally) rebranded herself as a single party girl who works hard, plays hard and doesn't have to run out when the nanny calls in sick. Can Mummy keep up the facade while keeping her family afloat? Can she really get away with wearing `comfy trousers' to work? And, more importantly, can she find the time to pour herself a large G+T? Probably effing not. I bought both of these books and only read the second in the vain hope it might be better than the first, it wasn't. The "humour" was swearing at everything, so not funny, just a bit juvenile!